Our school meets five days per week from September – May from 9:00 – 12:00 or 9:00 AM – 2:45 PM. This program is for children who are 3 years old by October 1st. 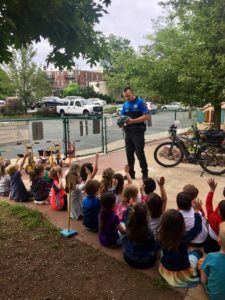 The 3-year-old Program is often the first school experience for many children and we strive to make it a fun and positive experience for them. We offer small class size under the direction of a licensed teacher and at least one teacher’s assistant. The large classroom is equipped with fine and gross motor equipment including books, puzzles, construction toys, play dough, blocks, housekeeping area, art easel and computer. Children are introduced to group activities such as circle time, story time and arts and crafts. Young 3’s may join the class if they meet the age requirement by December 31st and openings are available. This program is for children who are 4 years old by October 1st. The 4-year-old Program offers small class size under the direction of a licensed teacher and teacher’s assistant. 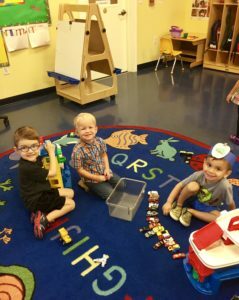 The classroom space is well equipped with a variety of materials that promote early learning and healthy development. Opportunities for dress up, block play, puppet theater, sand / water table, art easel painting, housekeeping, puzzles games and computer activities are offered daily. Group activities introduce basic concepts of language, math, science, phonics, community awareness, art and music. 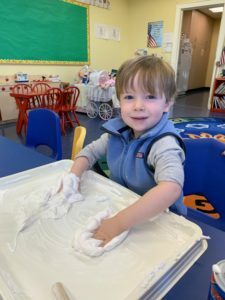 The Madison Community House Preschool Enrichment Program is an exciting educational program designed to build on the emerging skills of preschoolers. It is a continuation of our traditional preschool program, extending the day from 11:30 am to 1:00 pm. The children bring their lunch, participate in an outdoor playtime and attend an age appropriate enrichment class. Our goal is to provide fun and educational experiences and prepare children for Kindergarten. 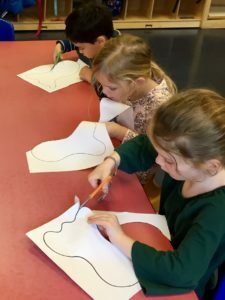 The Preschool holds a 3 week outdoor “Summer Adventure Camp” which starts the Tuesday after Memorial Day from 9:00 am – 12:00 noon at the Madison Community House. Your child must already be in or have completed a 3’s program to attend camp.